Did you review the Small Business Expo Exhibitor Info? and reach your EXACT Target Market. Save 10% when you book your exhibitor space before 11/30/18. SAVE 10% off Your Booth Package! Be sure to mention the discount code: SBE2019 to receive 10% off! Small Business Owners & Entrepreneurs attend Small Business Expo to exclusively shop for products & services just like yours! *10% Discount Offer available to new customers only. Discount only applied to new orders as of this email and must be signed with a 25% Deposit no later than 11/30/18 6PM EST. Other Terms & Conditions may apply. 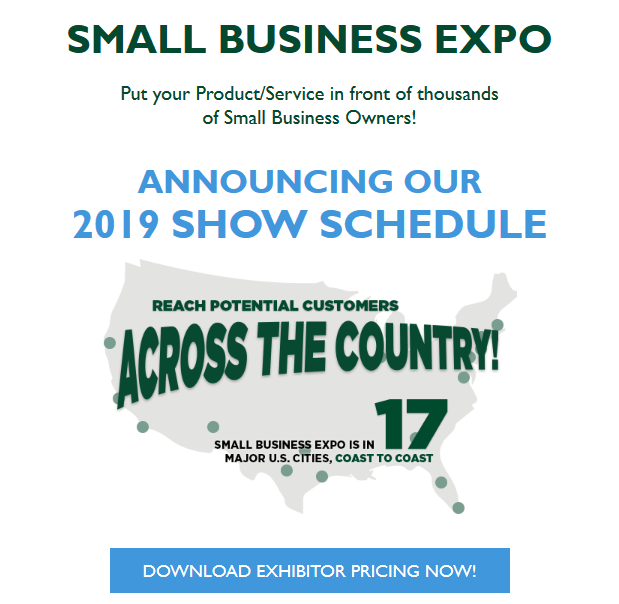 Previous Post Love Business EXPO 2019 – Only 18 Stands Left!